Every day, the same old thing. Wake up at 4:30am, go to work, type about all the cool things happening in the gaming world, go home, play a video game or watch a movie, cook something, go to bed. Repeat the next day. It's quite the rat race. But it's nothing really like Rat Race, a new card game that's up on Kickstarter. That's about actual rats in a race. 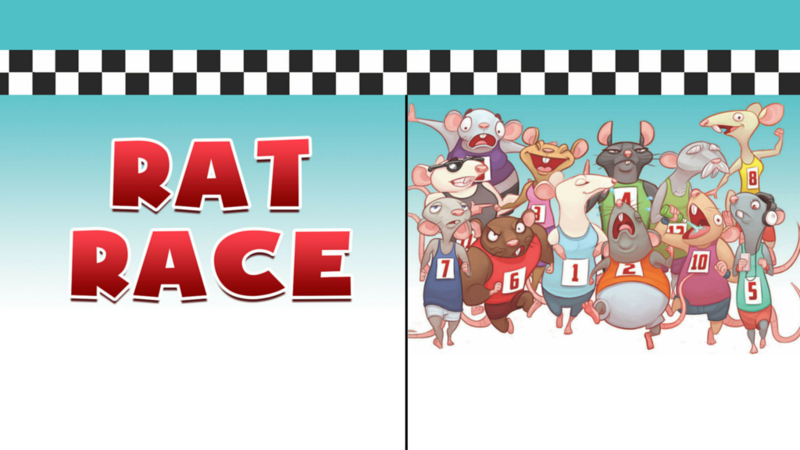 Rat Race is a new bluffing, guessing, memory card game. There's three ways to win. You either get three of your rats placed in a row on the table, or collect a set of four of your type of rat in your hand, or you can eliminate other players by guessing which rat is theirs or having them miss-guess which rat is yours. Yes, that last bit is where the bluffing and guessing comes in. Each player is secretly assigned a special rule at the start of the game. They must adhere to that rule, and other players are looking to guess what it is. Meanwhile, you're trying to guess what special rule the other players are adhering to. The campaign's up and running now, with still 22 days until the finish line.